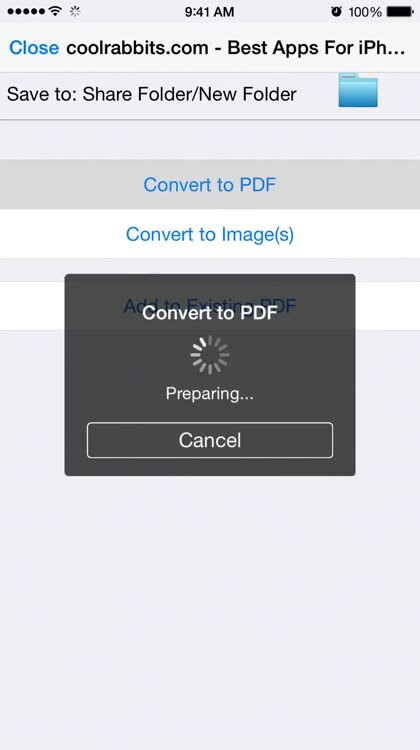 Cool Convert can convert a whole range of files you have on your device into image files or PDFs, export PDFs to jpg/png, Merge PDFs and images to a new PDF, scan documents with your camera; The conversion is done locally on your device and it does not require internet connection. 1. 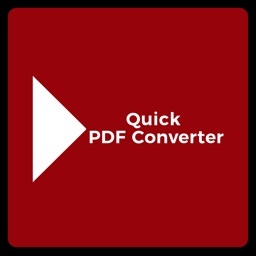 Simply convert most common files such as Word, Excel, TXT, PPT, Web Pages, Webarchive, Pages, Numbers and more to a PDF or Image files; you can also add these file formats to an existing PDF. 3. Convert most common file types from other apps by using “Open In…” directly. Convert attachments from Mail. 4. 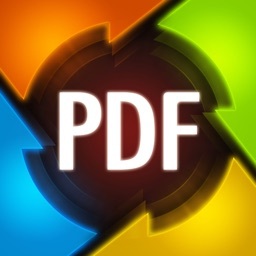 Select and arrange the PDF pages, rotate or delete the PDF page, then export to a new PDF or Images ( JPG or PNG). 5. 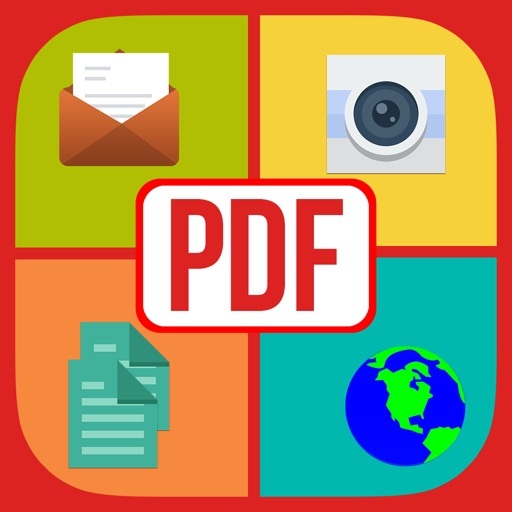 Merge PDFs or images into a single PDF file. 6. 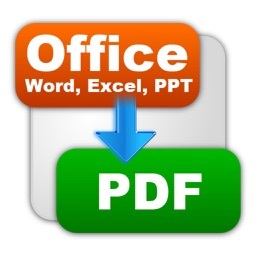 Support for PDF conversion option settings such as: PDF Title, subject, author, password, paper size etc. 7. 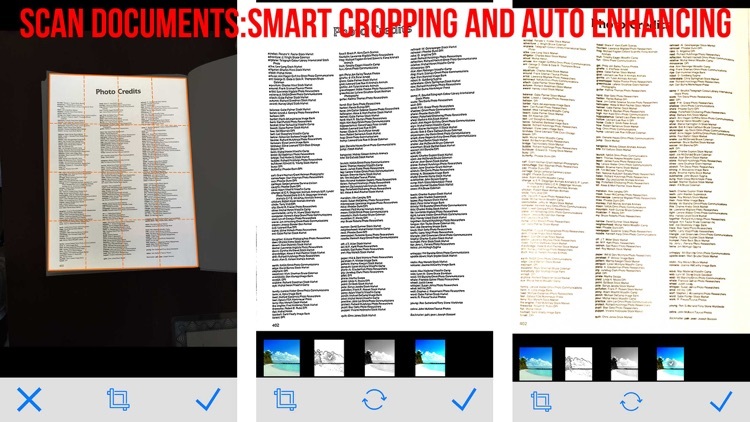 Best Scan Quality: Smart cropping and auto enhancing ensures the texts and graphics in scanned documents are clear. 8. Insert image files from your photo album, and edit the images with a full set of editing tools. Also, you can convert BMP/TIFF/GIF/PNG/JPG to PNG or JPG. 9. 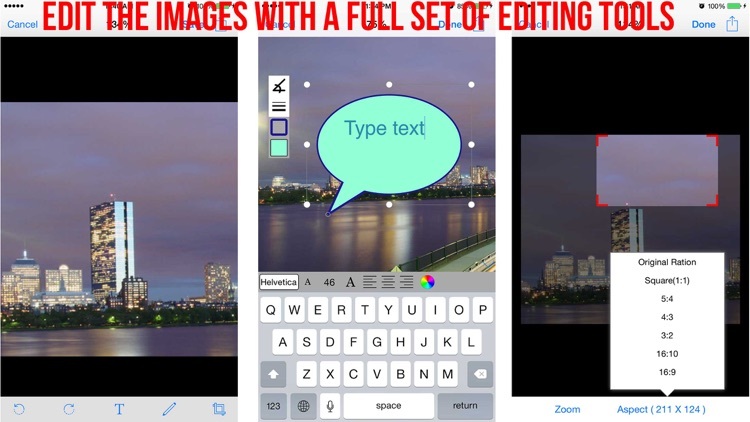 Advanced Photo Editing: Make annotations on photo with a full set of editing tools. 10. Insert files from iCloud Drive. 11. Support Image conversion settings: change the image dimensions, image format ( jpg, png ) or quality; set the background color for conversion from PDF to JPEG/PNG. 12. 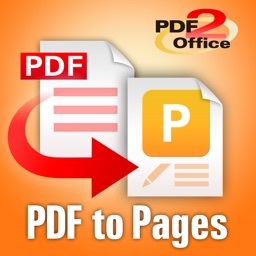 Set margins for conversion from document file/web pages to image(s)/PDF. 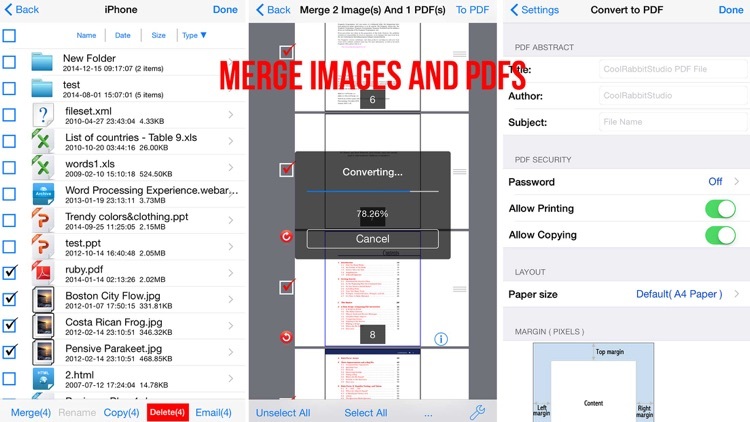 Docs manager, easily organize all your files on your iPhone or iPad. 1. Cloud syncing: automatically synchronizes your files and folders in Cloud storage. In current version, Dropbox, Box, Google Drive, and Microsoft OneDrive are supported. And you can add multiple accounts of the same cloud service. 2. Rename, copy, or delete files or folders. 4. Sort your files by name,size,type or time. 7. 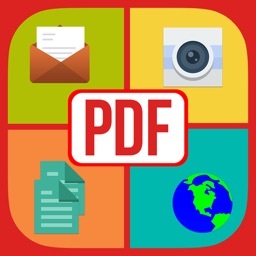 Support AirPrint: print documents,web pages, converted files directly. 8. File sharing via WiFi, iTunes USB.